In June 2010, the group led by Mr Richard Herbert, visited the company's old headquarters in Smithfield. They had a tour of the wholesale meat market which was opened in 1868. It was a chance to see how meat is sold to butchers and the restaurant business although anyone can buy from Smithfield – provided they get up very early in the morning. After the tour, the group went to the building that once was Herbert's main office - 6 & 7 West Smithfield. It is now a coffee shop. Although its function has changed, there are still signs that this was the Herbert main office and shop. The Lion trademark still stands over the doorway leading out on to West Smithfield. 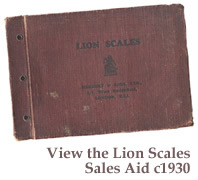 The Lion lost his scales many years ago – was it bombed in the war or stolen? We do not know. There is also a plaque on the wall inside the coffee shop stating that this was the foundation stone for the new Herbert building erected on the site of the old one in 1889. After seeing where the Herbert company sold its products to the butchers’ shops of Britain (as well as grocers, fishmongers and many other outlets for their scales and other products), the group went to the London Museum of the Docklands. This is housed in a former sugar warehouse right on East India Dock. It is a reminder of the huge amount of trade that came into the Port of London. Nowadays, the port has gone and in its place office blocks, expensive apartments and restaurants. On the second floor of the museum is the Sainsbury Archive which tells the story of the famous supermarket company which began life as a simple grocer’s shop in 1869. The group met the two archivists who look after the collection: Clare Wood and Jayne Stewart. They took the group behind the scenes to explore interesting parts of the Sainsbury Archive such as rare old photographs, documents and a lunch box once owned by Frank Sainsbury, the son of the founder. The group was shown a photograph of Frank who set up an egg company just outside Haverhill. Here was a link that the group did not expect. Frank Sainsbury was a pioneer in the egg business: he collected fresh eggs from local farmers and sent them on to markets in London and other big cities. It meant that for the first time, people could buy really fresh eggs. The group noticed that a central feature of the permanent exhibition in the Archive is a display of two Herbert scales made especially for J Sainsbury. 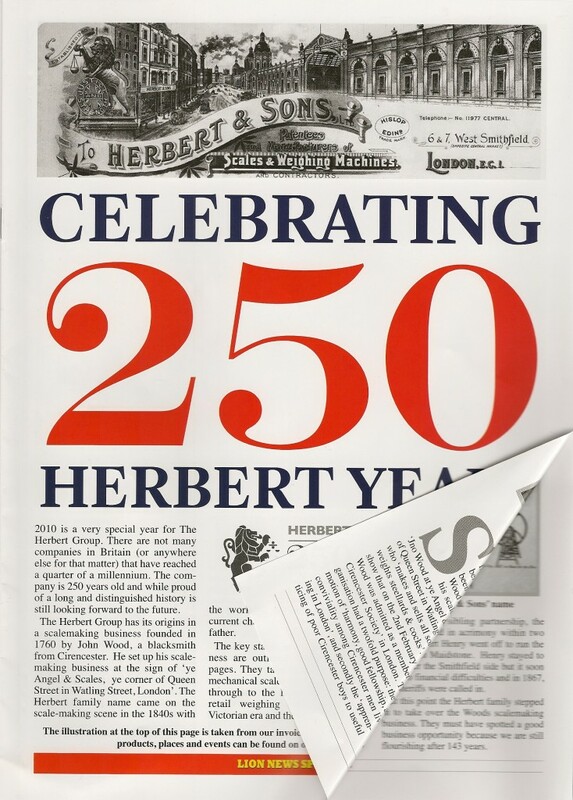 It was evidence that the history of Sainsbury and Herberts has been closely connected.